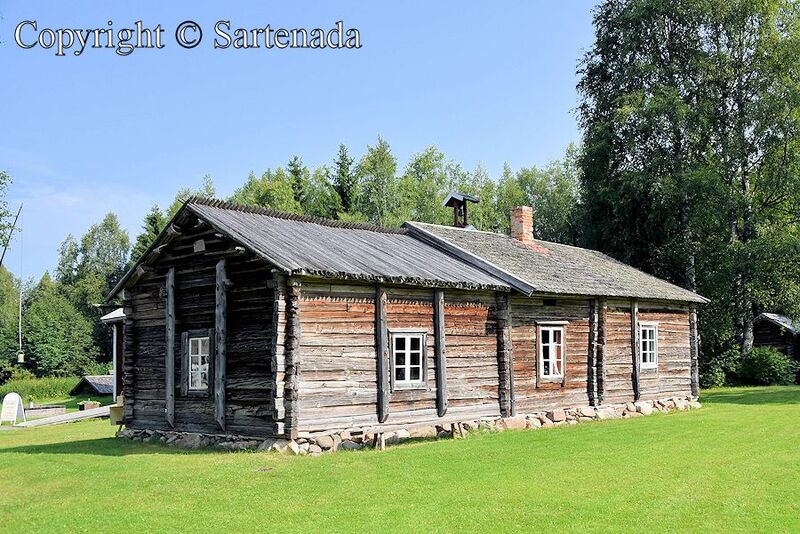 Turkansaari is situated from Oulu, Finland about 10 km / 6.2 mi to the East. 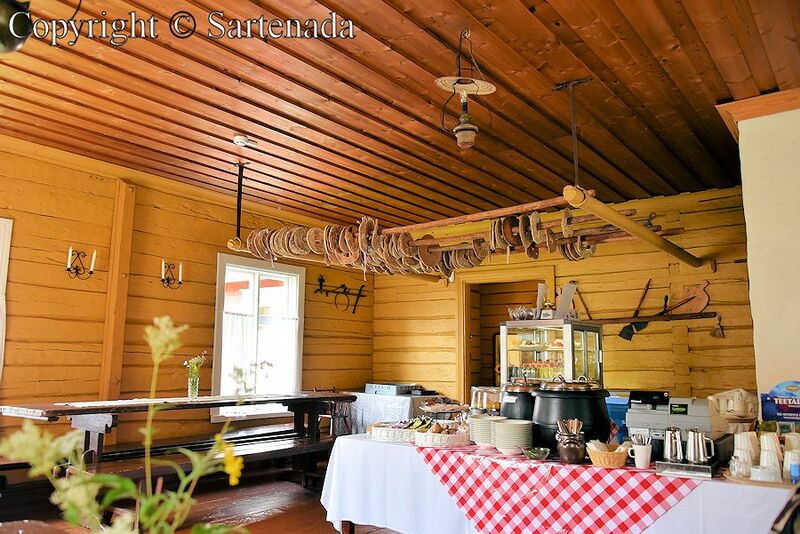 It is an island, where man can make time travel to the past, because there is an open-air museum, which consists more than 40 museum old buildings. 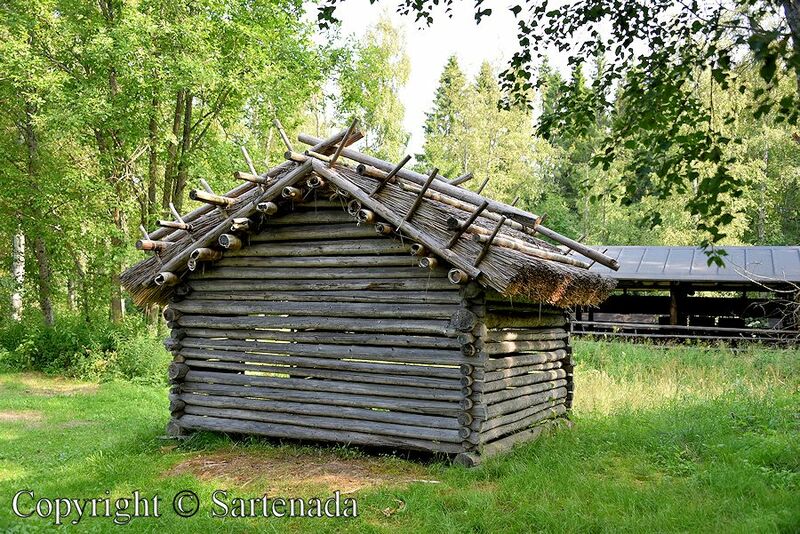 Many of them have been moved from their original site, re-erected and restored on Turkansaari. 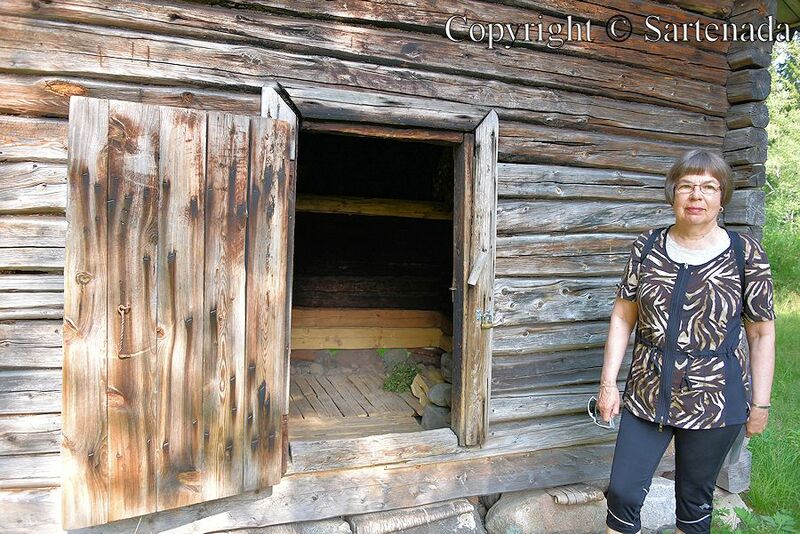 We visited to Turkansaari in summer 2016. What we saw? 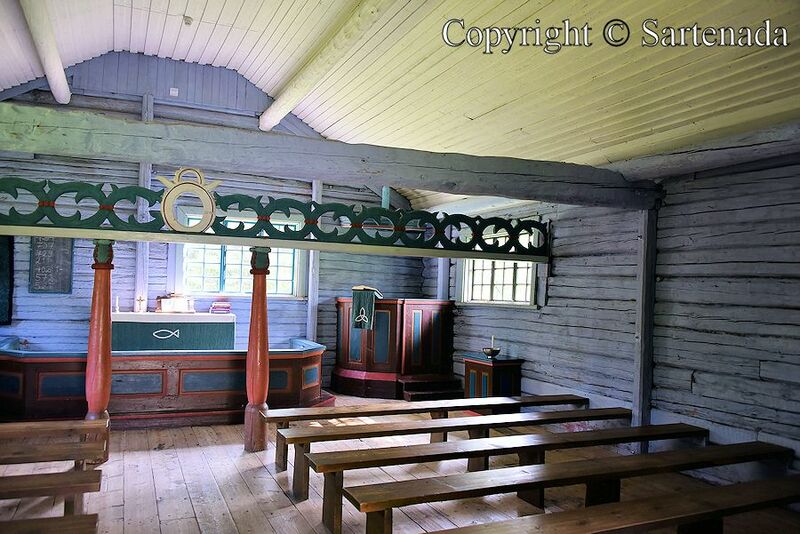 After passing the bridge, we went straight ahead to the old wooden church from 1694, because we love wooden churches. 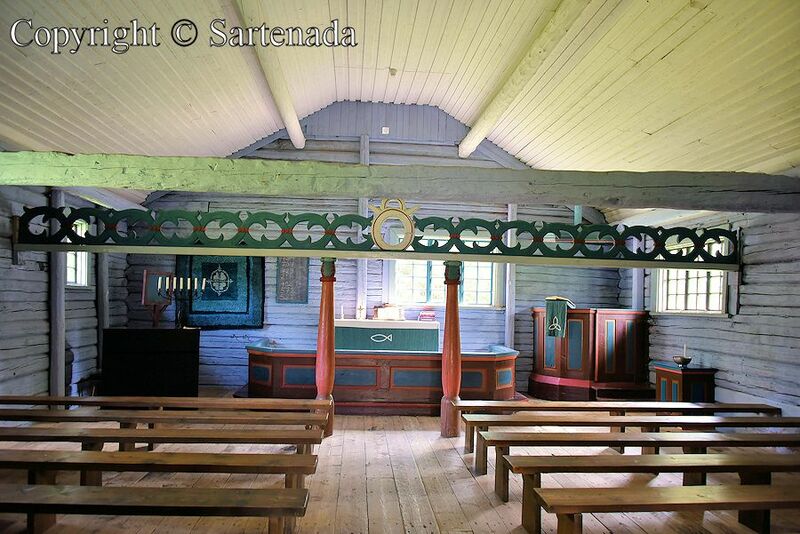 As I guessed, we were not disappointed to the church – small, simple and beautiful. 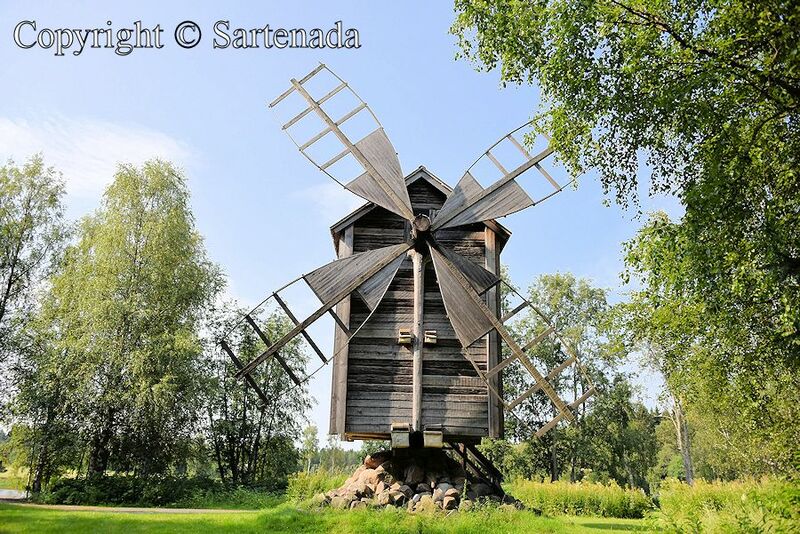 Traditional windmill is from 1850s and it is not a “ginger windmill”, but rough as it was in historic days. 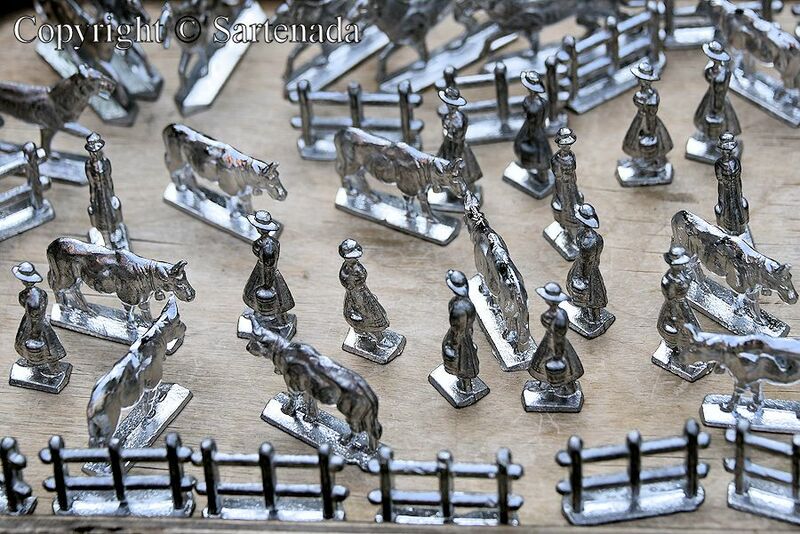 We met also artisans, blacksmith, and the man who casted tin solders and made tiny bark boats. Peeking inside old buildings, we found some artefacts, which use were to us unknown. Long boats which You see among my photos, are intended for transporting tar. 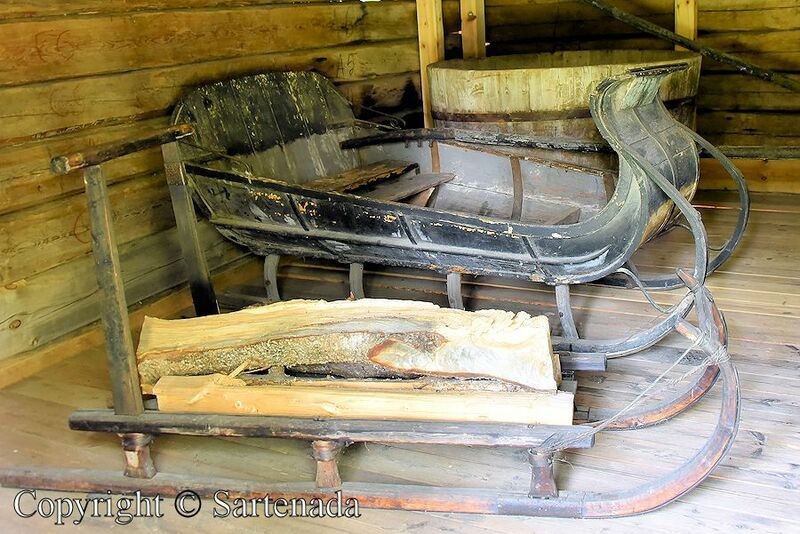 Tar was made in Oulu and elsewhere in Finland, Oulu has been a main center for selling it in our history. 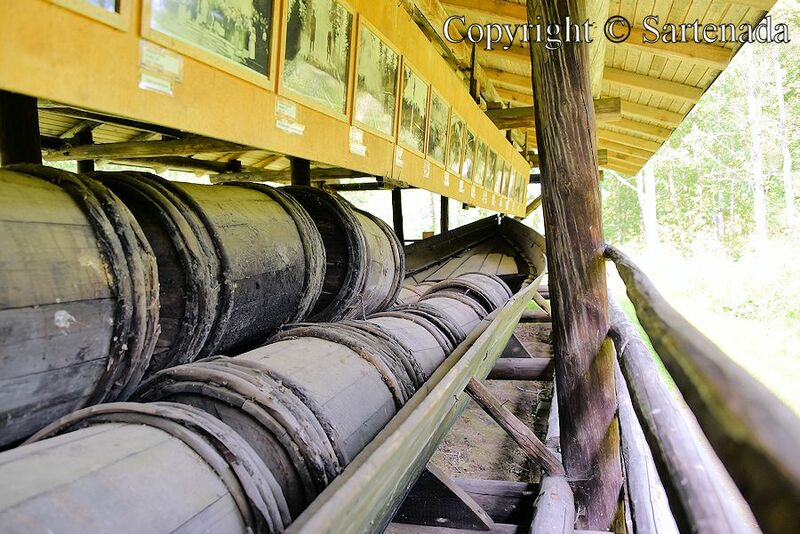 The heyday of transporting tar was in the 1850s. 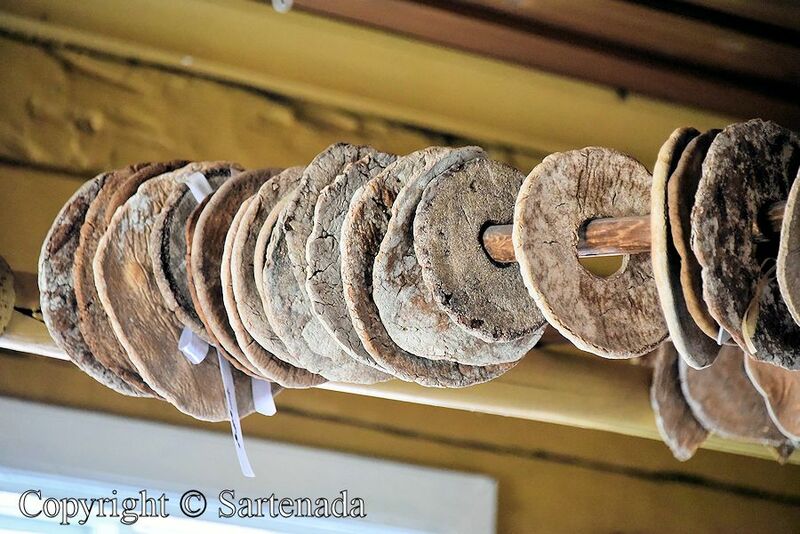 When in the café, before leaving the area, we saw hanging some rye breads on skewer. This habit was very general on countryside in our history. 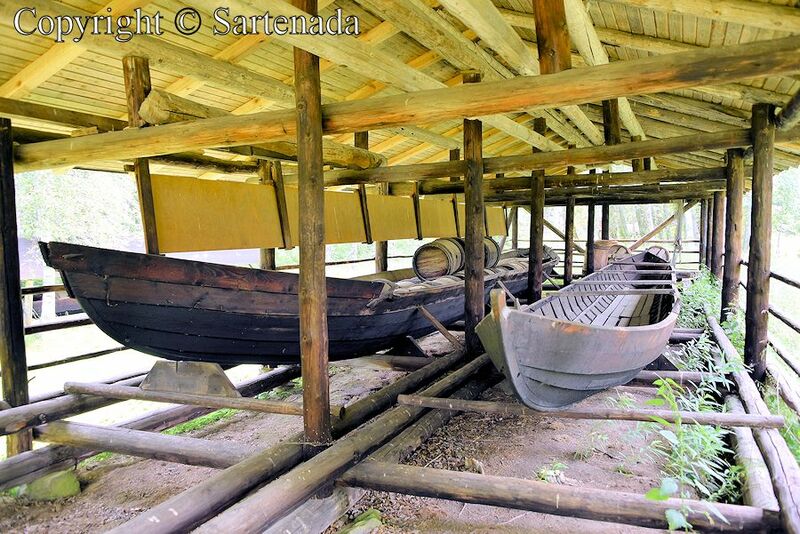 Photos, which show long boats, were used for rafting and transporting tar. Finland exported tar to Europe. 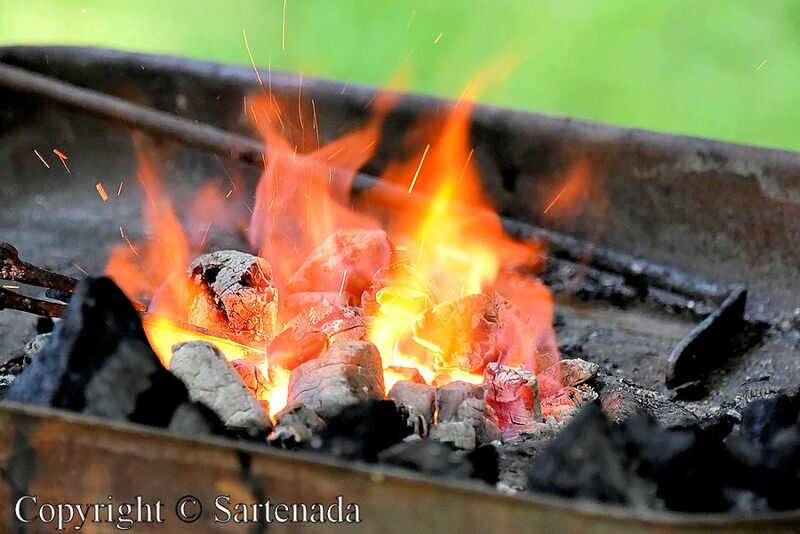 If tar and its history is unknown to You, then take a look at links after my photos. Surely interesting information – real time travel! 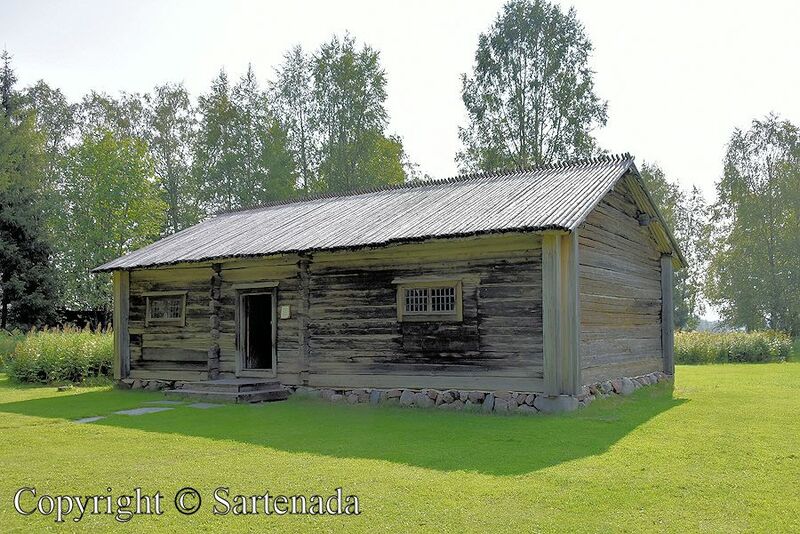 Museo al aire libre de Turkansaari. 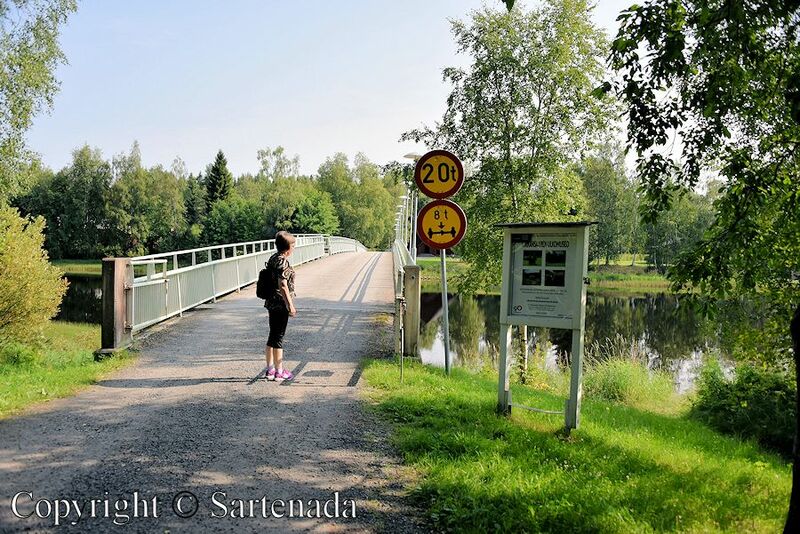 Turkansaari está situado de Oulu, Finlandia alrededor de 10 km / 6,2 millas al este. Es una isla, donde se puede hacer viajes en el tiempo, porque allí hay un museo al aire libre, que consta más de 40 antiguos edificios. 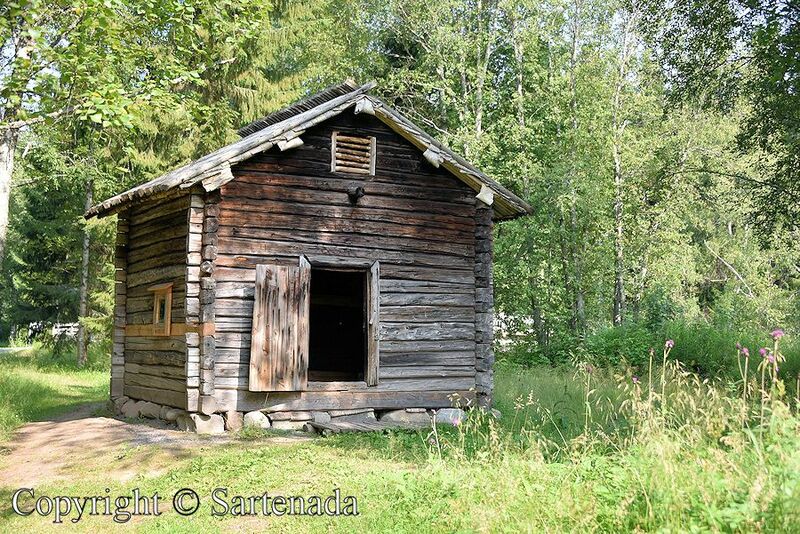 Muchos de ellos se han movido de su sitio original, re-construido y restaurado en Turkansaari. Visitamos a Turkansaari en el verano de 2016. Lo que vimos? 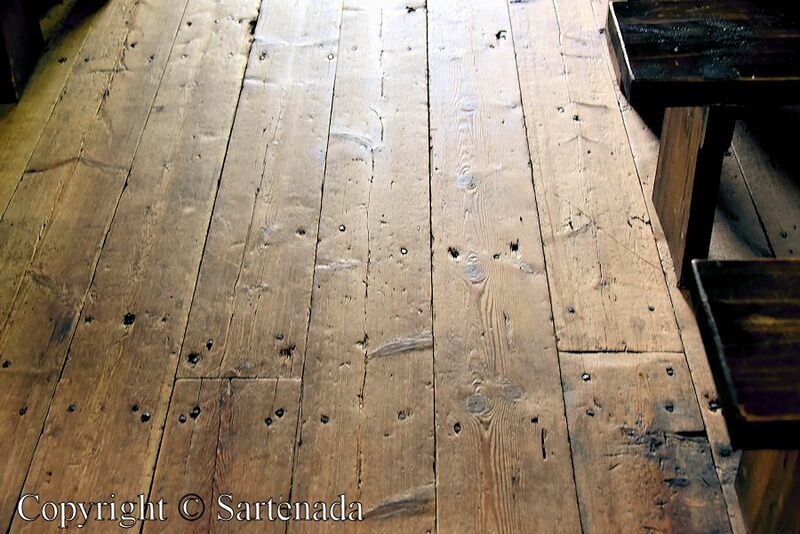 Después de pasar el puente, fuimos directamente en delante de nosotros la antigua iglesia de madera de 1694, porque amamos iglesias de madera. Como pensaba, la iglesia no nos decepcionó – pequeña, sencilla y hermosa. 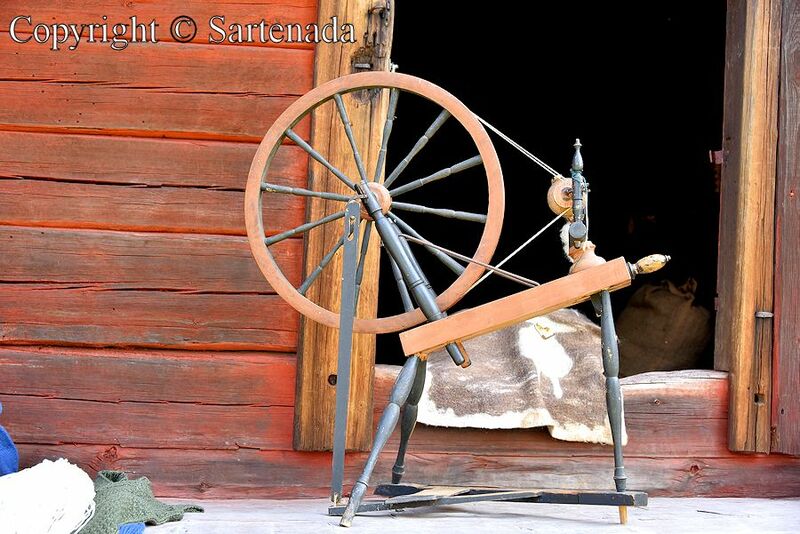 Tradicional molino de viento es de 1850 y que no es un “molino de viento de jengibre”, pero en bruto como lo fue en los días históricos. Nos encontramos también artesanos, herrero, y el hombre que fundaba soldaduras de estaño e hizo barcos pequeños de corteza. Al echar una mirada en el interior de los edificios antiguos, encontrábamos allí algunos artefactos, lo que ellos servían no lo sabíamos. Largos bote de remo que se ve entre mis fotos, están destinados para el transporte de alquitrán. 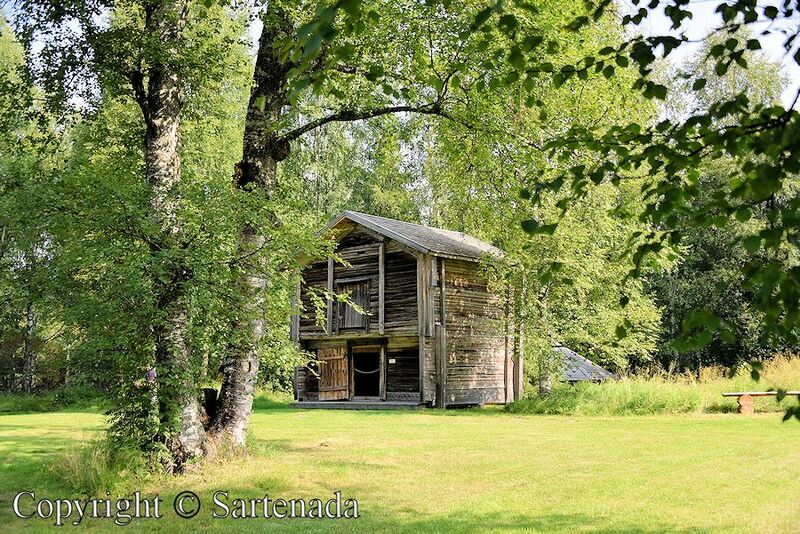 El alquitrán se hizo en Oulu y en otras partes de Finlandia, Oulu ha sido un centro principal para venderlo en nuestra historia. 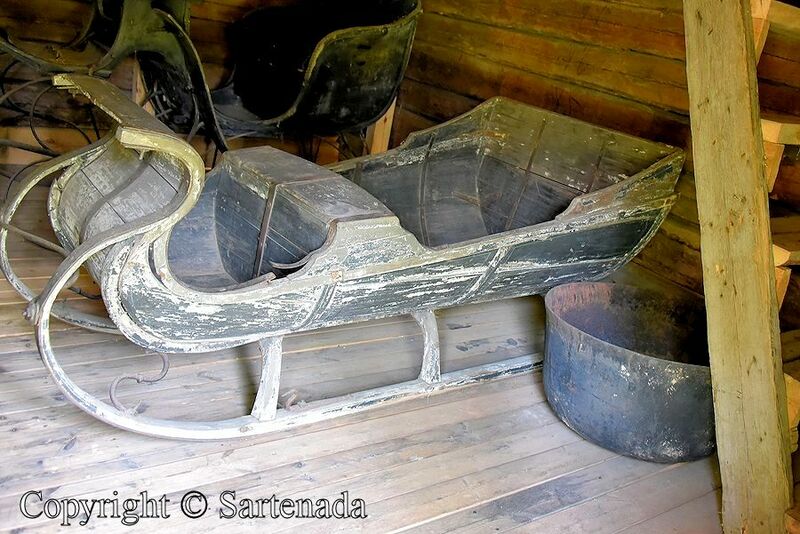 El apogeo de transporte de alquitrán estaba en la década de 1850. Cuando en el café, antes de salir de la zona, vimos algunos panes de centeno colgando en la brocheta. Este hábito es muy general en el campo de nuestra historia. Las fotos, que muestran largos botes de remo, se utilizaban para el descenso de rápidos y el transporte de alquitrán. Finlandia exportó alquitrán a Europa. Si el alquitrán y su historia es desconocido para vos, a continuación, echa un vistazo a los enlaces después de mis fotos. Seguramente información interesante – viaje en el tiempo real! 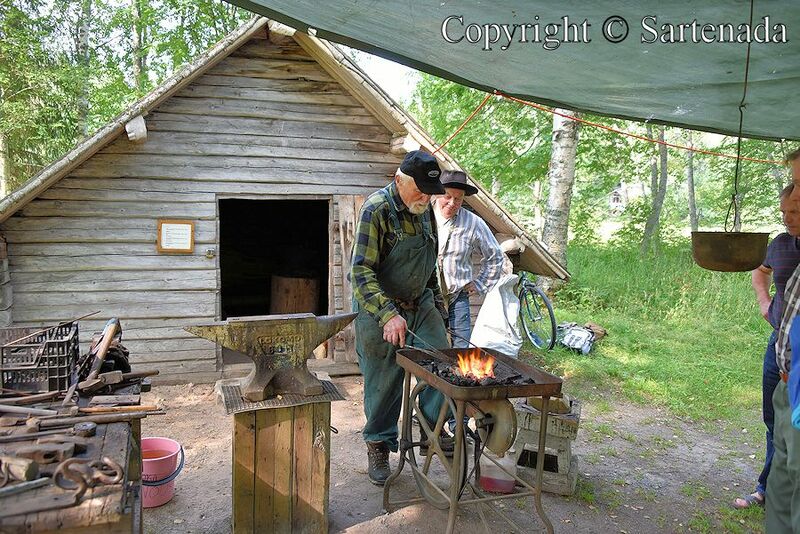 Musée en plein air de Turkansaari. Turkansaari est situé de Oulu, Finlande environ 10 km / 6,2 mi à l’Est. C’est une île, où on peut faire voyage dans le temps au passé, parce qu’il y a un musée en plein air, qui se compose de plus de 40 anciens bâtiments. Beaucoup d’entre eux ont été déplacés de leur site d’origine, re-construit et restauré sur Turkansaari. Nous visitions à Turkansaari en été 2016. Qu’est-ce que c’est ça que nous avons vu? Après avoir passé le pont, nous sommes allés tout droit à la vieille église en bois à partir de 1694. 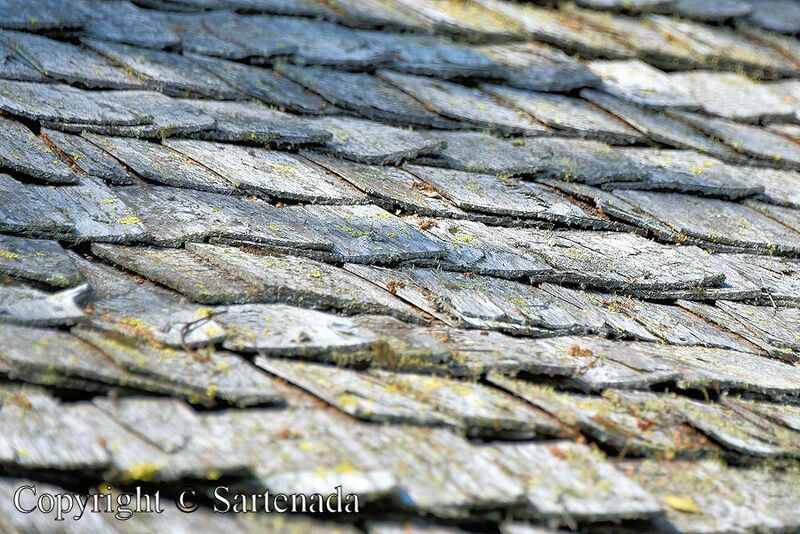 Parce que nous aimons les églises en bois, je l’ai deviné, nous ne serons pas déçus de l’église – petite, simple et belle. Le moulin à vent traditionnel est de 1850 et c’est pas un “moulin à vent du gingembre”, mais rugueux comme il était en jours historiques. Nous rencontrions aussi des artisans, forgeron, et l’homme qui fondait soldats de plomb et a fait des bateaux d’écorce minuscules. En jetant un coup d’œil à l’intérieur des bâtiments anciens, nous trouvions quelques objets, dont l’utilisation devaient nous inconnu. Les longs bateaux à rames que vous voyez parmi mes photos, sont destinés à transporter le goudron. Le goudron a été faite à Oulu et ailleurs en Finlande, Oulu a été un centre principal pour la vente dans notre histoire. L’apogée de transport de goudron était dans les années 1850. Lorsque, dans le café, avant de quitter la zone, nous voyions quelques pains de seigle traînant sur la broche. Cette habitude était très générale dans la campagne dans notre histoire. Les photos, qui montrent de longs bateaux, ont été utilisés pour le rafting et le transport de goudron. Si le goudron et son histoire est inconnu pour vous, alors jetez un oeil à des liens après mes photos. Sûrement l’information intéressante – réelle voyage dans le temps! O Museu ao ar livre de Turkansaari. Turkansaari fica em Oulu, Finlândia 10 km / 6,2 mi para o leste. É uma ilha onde você pode fazer a viagem no tempo para o passado, porque há um museu ao ar livre, que consiste de mais de 40 edifícios antigos. Muitos deles foram movidos de seu local original, reconstruído e restaurado em Turkansaari. 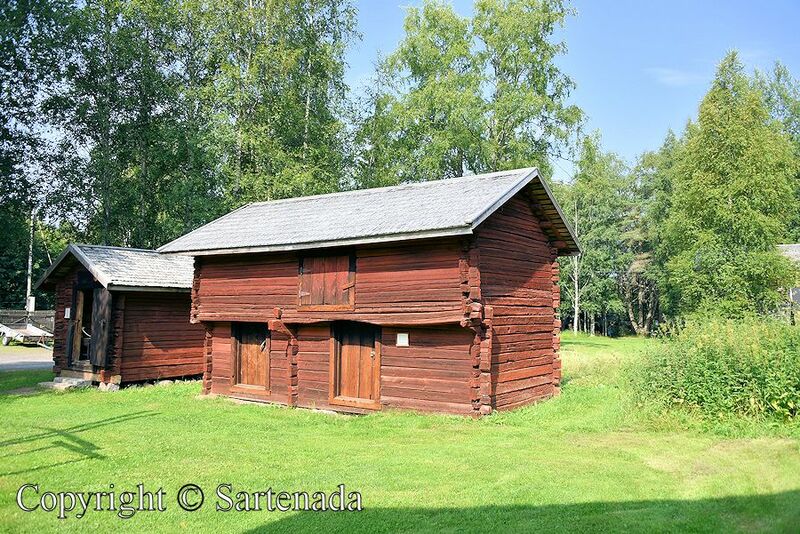 Visitámos em Turkansaari no verão de 2016. O que é que nós vimos? Depois de atravessar a ponte, fomos direto para a antiga igreja de madeira a partir de 1694. Porque amamos as igrejas de madeira, eu achei, que não ficarei desapontado pela igreja – pequena, simples e bonita. O moinho de vento tradicional é de 1850 e não é um “moinho de vento gengibre”, mas áspera como era nos tempos antigos. Nós também se reuniu artesãos, um ferreiro, e o homem que derreteu soldados de lata e fez pequenos barcos casca. Dando uma olhada no interior dos edifícios antigos, encontramos alguns artefactos cuja utilização não sabíamos. As longas barcos a remos que você vê nas minhas fotos, são significados para transportar alcatrão. O alcatrão foi feita em Oulu e em outros lugares na Finlândia, Oulu era um centro principal para as vendas em nossa história. O auge de transporte tar foi na década de 1850, quando, no café, antes de deixar a área, vimos um pouco de pão de centeio pendurado no espeto. Este hábito era muito geral na campanha em nossa história. As fotos, que mostram barcos longos foram usadas para rafting e transporte de alcatrão. Se o alcatrão e sua história é desconhecido para você, então dê uma olhada em ligacaos de minhas fotografias. Informações certamente interessantes – viagem no tempo real! Museums of time travel / Museos de viaje en el tiempo / Musées de Voyage dans le temps. 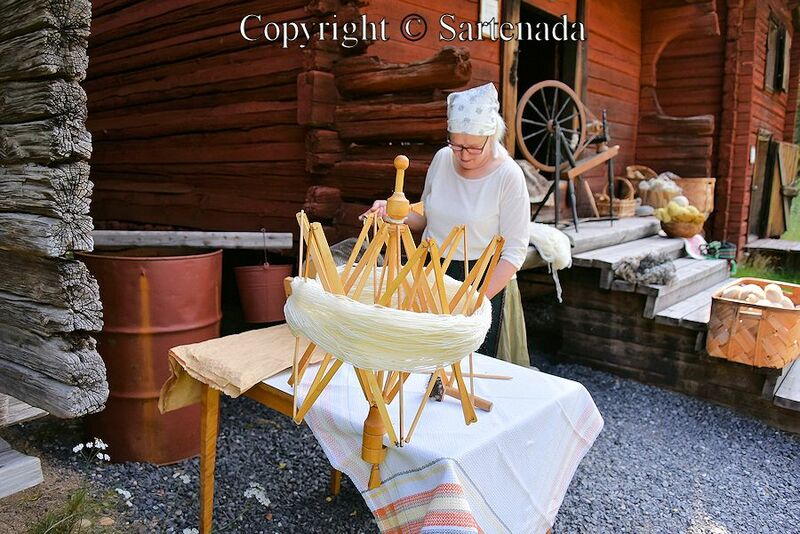 Luostarinmäki Handicrafts Museum / Museo de Artesanías Luostarinmäki / Musée de l’Artisanat de Luostarinmäki. 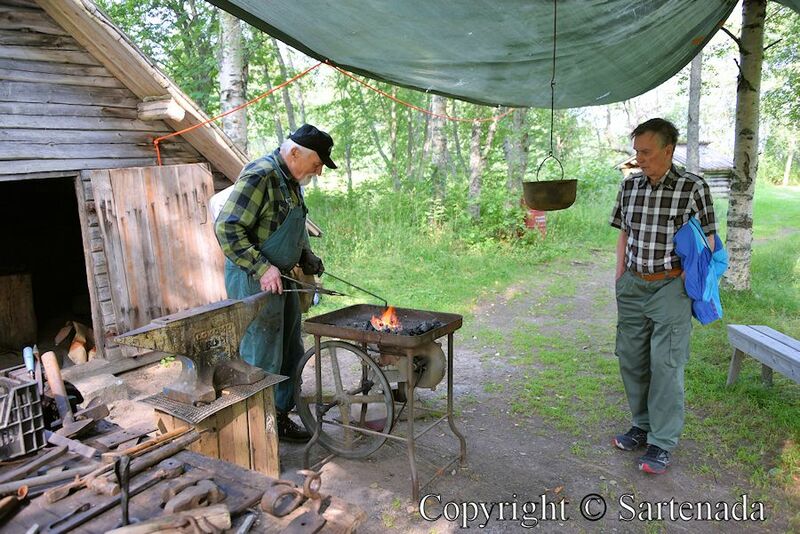 Seurasaari Open-Air Museum / Seurasaari Museo al aire libre / Musée en plein air de Seurasaari. 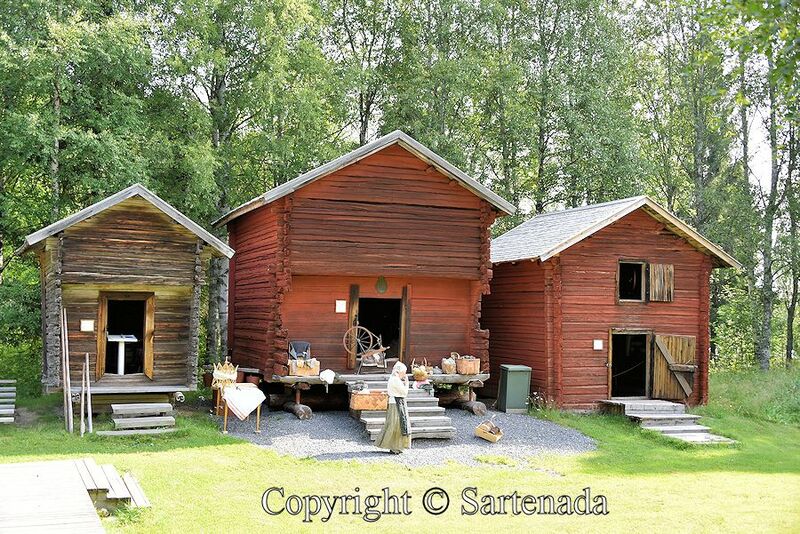 Open-air museum in Lieksa / Museo al aire libre en Lieksa / Musée en plein air á Lieksa . Lovely! It looks a very interesting place to visit. I love living history although in TV there are awesome documentaries every now and then. Thank You for Your comment. Thank you Matti. We are back in Finland now! Sounds great!!! You are welcome. Where are staying this time? Are gonna crisscrossing Finland? Anyway, I am very glad when reading this. Thank You informing me. Thanks Matti. We are staying by the sea in Espoo. Hopefully it will get a little warmer soon! That is just so lovely there, and watching the people making things is surely amazing. I also love the little bits for sale, the baskets and tiny boats, just love them really. Thank You for Your lovely comment. Museums stop us to think how our life was in times gone by. 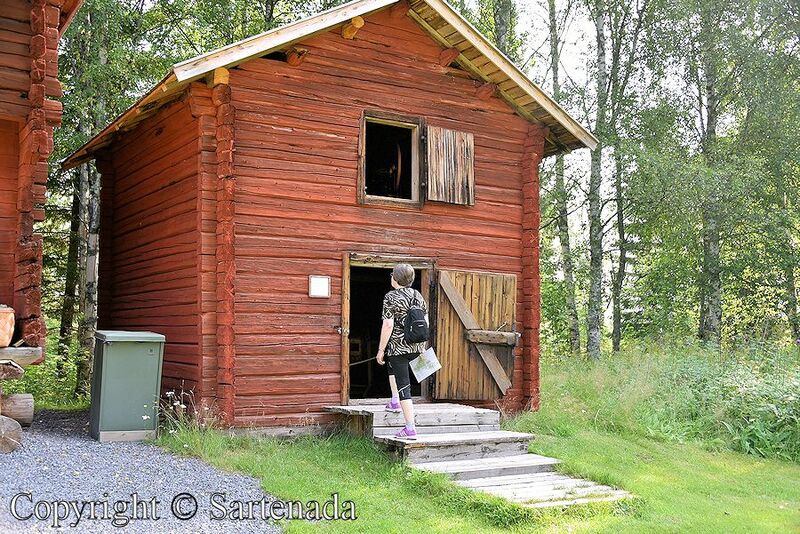 I remember visiting this museum on our trip to Finland. it really was very informative. Sadly, when we were there most of the craftspeople when not. How nice to rea that You have visited this museum. 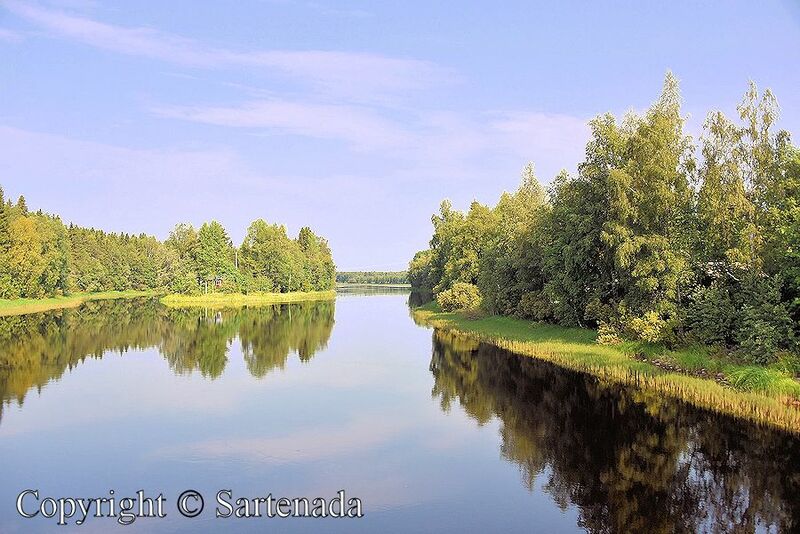 Few days ago, I thought back that in Lappeenranta we were very near about to meet. Think, I have never met another blogger. 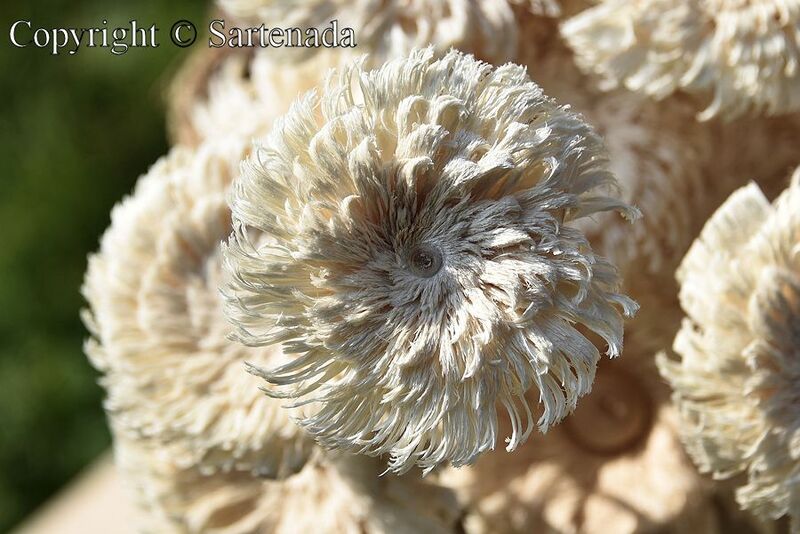 Thank You visiting my blog, leaving Your kind comment and loving my post. 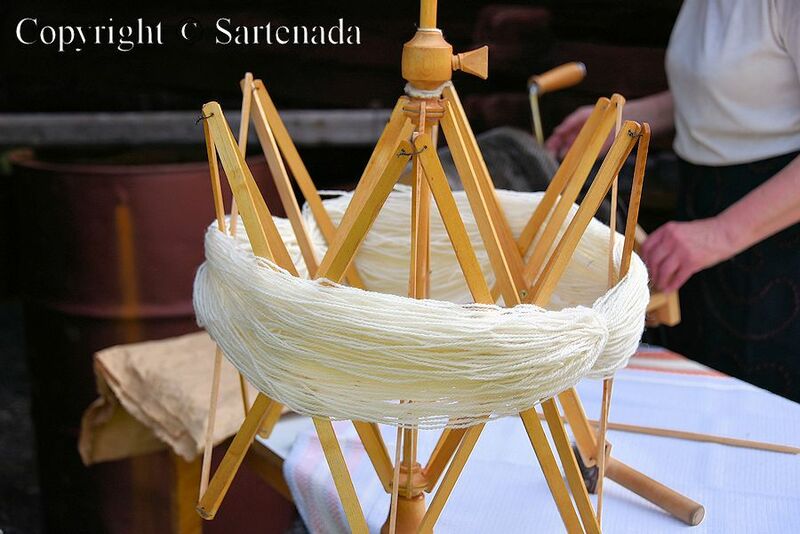 They are wonderful works of handmade. I am very glad that You loved my post. I love museums very much and this one is awesome. I very seldom tell about my future posts, but this time I tell. I think that You know Japanese famous TV-star 宮川大輔. I have photos from him when he participated in a unique contest in Finland on Saturday!!! Fascinating as ever! Many thanks for sharing this. How glad I am that You loved my post. Thank You. Really a trip back to the old days in the country side! Thank you! Yes indeed. I love this kind of museums, because they bring memories back from my childhood. Thank You. 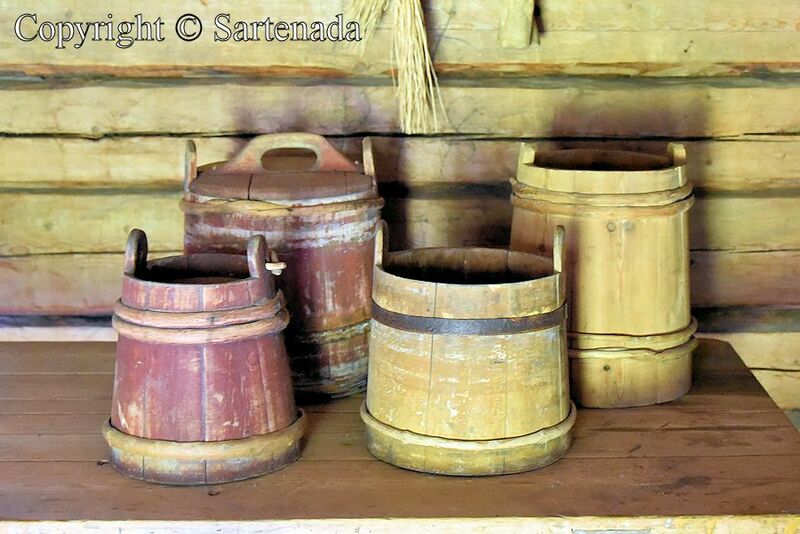 To me it is important to read that You loved my post – visiting the past. Thank You for Your praising comment. I very seldom tell about my future posts, but this time I will tell. I think that You know Japanese famous TV-star 宮川大輔. I have photos from him when he participated in a unique contest in Finland on Saturday!!! How wonderful! 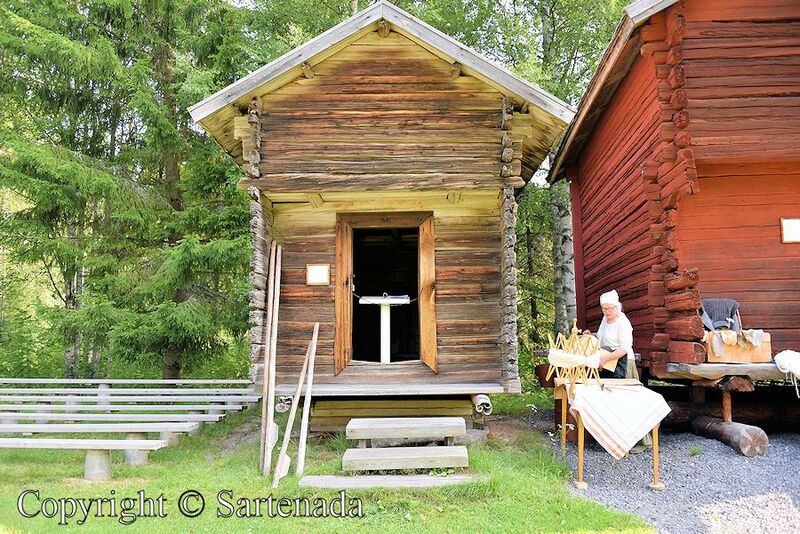 The church and other old buildings are so beautiful and I especially loved seeing the textiles and spinning wheel–I would like to visit this museum! How nice to read that You visited this museum thru my photos. Thank You loving my post and its photos. I really enjoy seeing places like this, as I enjoy history. The rye bread reminds me a little of our tortillas which are made from corn or flour. 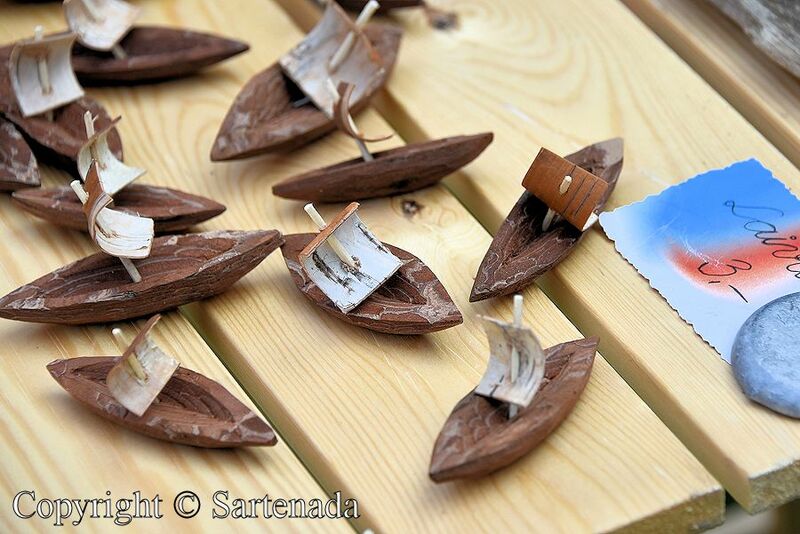 Those miniature boats ,baskets and metal pieces are wonderful. True talent in making them. Thanks for sharing your day!! 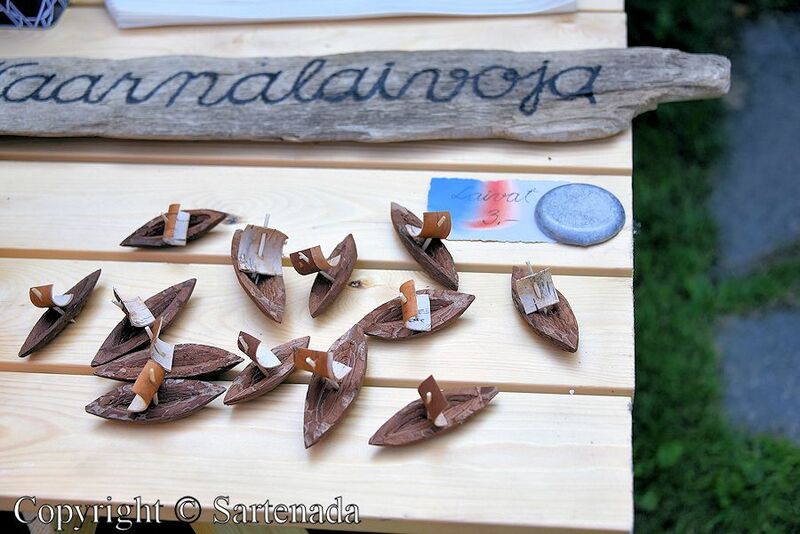 When being Young, I made bark boats and carved other wooden boats. 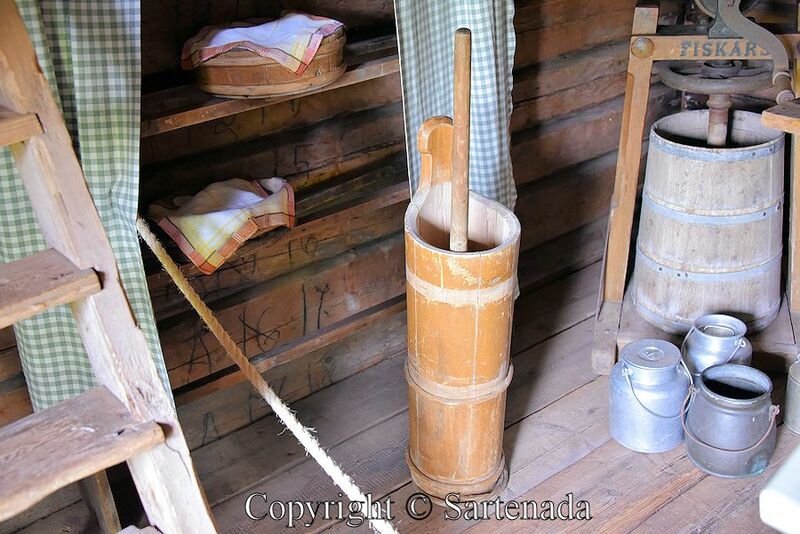 I am glad that You loved my post and visited the museum thru my photos. Thank You. But super place! I love such atmospheres. Greetings to you. Thank You leaving Your comment. I am glad that You enjoyed my post. If I have many time, I want to visit all cabin. I want to stay cute bedroom ^^. White linen,pitcher painting blue flower…,I like so. I am very glad that You loved my post and left so kind comment. Thank You. I very seldom tell about my future posts, but this time I will tell. I think that You know Japanese famous TV-star 宮川大輔. I have photos from him when he participated in a unique contest in Finland on Saturday!!! It’s good to see places like that and things like those preserved and cared for! That kind of history is like the keel on a sail boat: it keeps us upright and stable as we go through life’s new adventures. Thank You for Your profound comment in a poem form! I loved it. Thank you for sharing this beautiful living museum with us. The church is absolutely gorgeous. 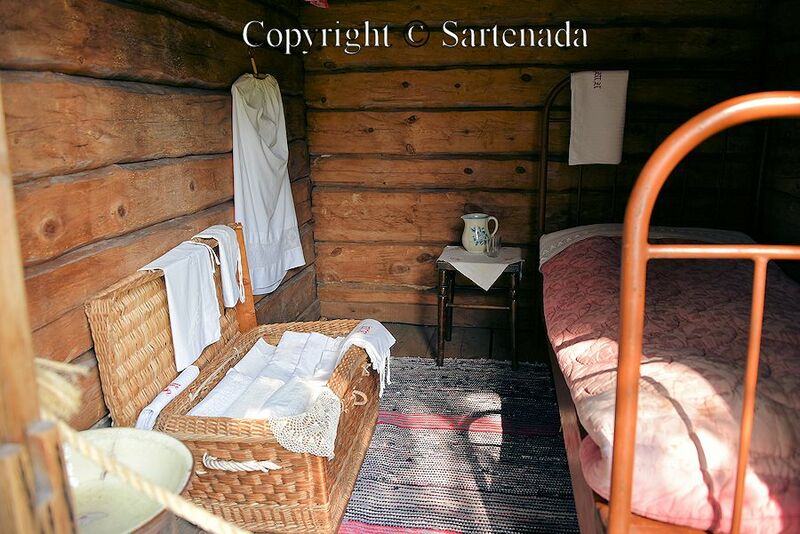 We have a similar living museum near us in Cases Cove of the Great Smoky Mountains National Park. Very nice to read that You have similar museum near to You. Taking care of living history is important, because then posterities get direct information how people lived in times gone by. Thank You. It’s really a time travel and fascinating to see how buildings were constructed in former times. 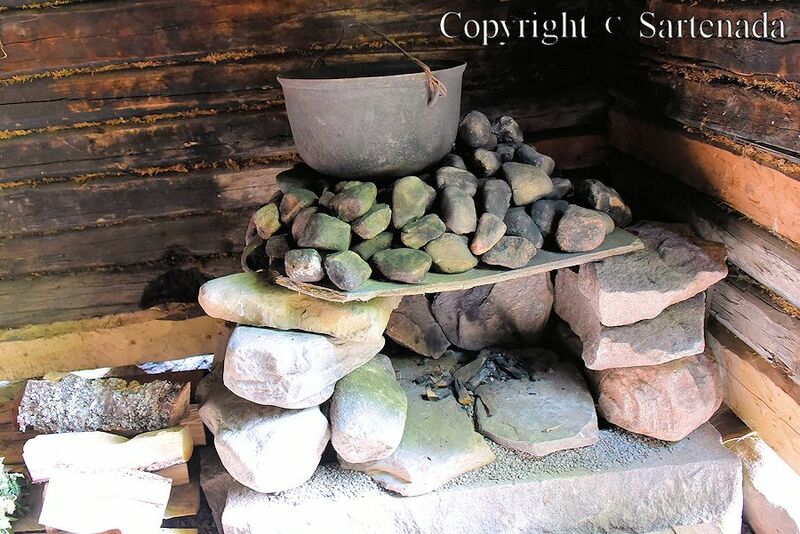 How people used the old materials for their crafts or handicraft and how they worked to seal off the houses in order to protect against heat, coldness, rain etc. 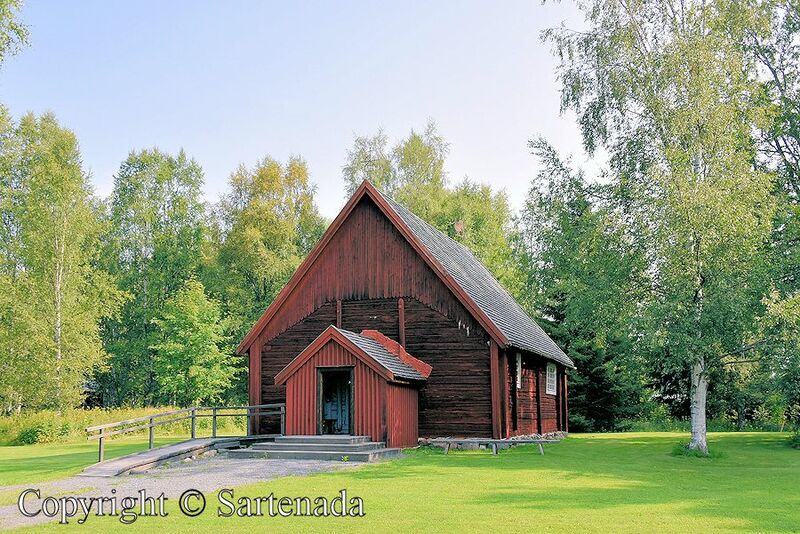 The church is beautiful, Matti! My personal favourite today, however, is the windmill which is very particular with its rounded vanes. 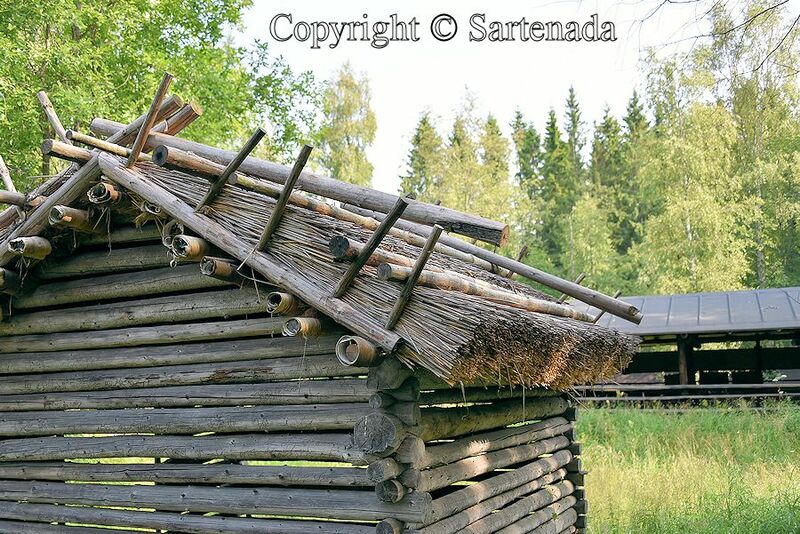 Thanks for showing such a great variety of photos taken during your visit at the open-air museum of Turkansaari! I enjoyed it very much! Que de charme, ce musée à ciel ouvert ! Thank You vising and commenting my pot. Do You know in Japan TV-star 宮川大輔 / Daisuke Miyagawa. 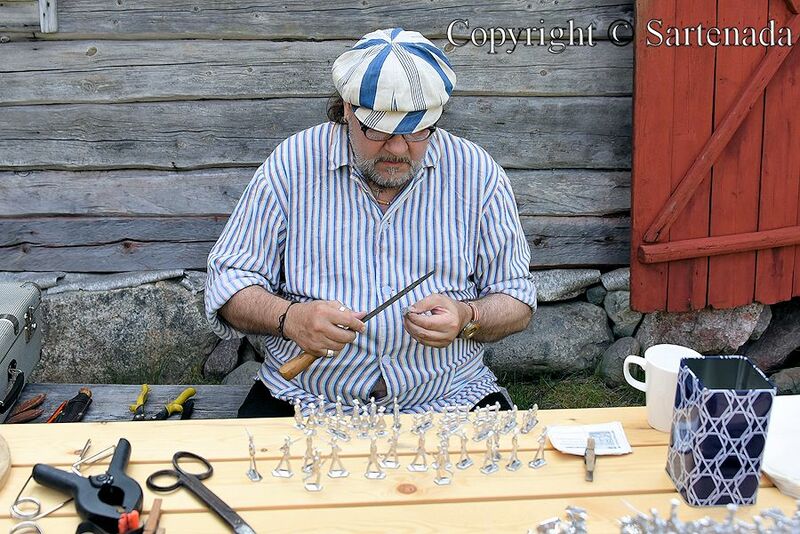 He visited Finland and I got photos from him when he participated in a special contest? Hienoja suomalaisia perinteitä ja aivan upeita kesäkuvia, Matti! Meilla on meilkein samanlainen ikivanha aitta kuin minka edessa vaimosi poseerasi. Minäkin tulen noin viikon kuluttua niihin kauneisiin kesämaisemiin. Kiitos kehuista. On hienoa kuulla, että tulet taas käymään täällä. Kevät ja kesän alku ovat olleet kylmiä, josta johtuu, että mansikat ovat myöhässä. Ilmeisesti ensi viikosta alkaen niitä alkaa saada syötäväksi ja pakkaseen. Olemme nyt juuri Oulussa ja matkaamme Helsinkiin ensi viikolla vähäksi aika ja palaamme taas Ouluun. Toivotaan, että kylmä jakso väistyy ja tulee lämmintä ja aurinkoista. Wonderful to be able to walk through and interact with such amazing history. Lovely photos that made me feel I was walking with you. It seems that I succeeded with my photos according Your praising comment. Thank You. This place certainly has many interesting bits of history! 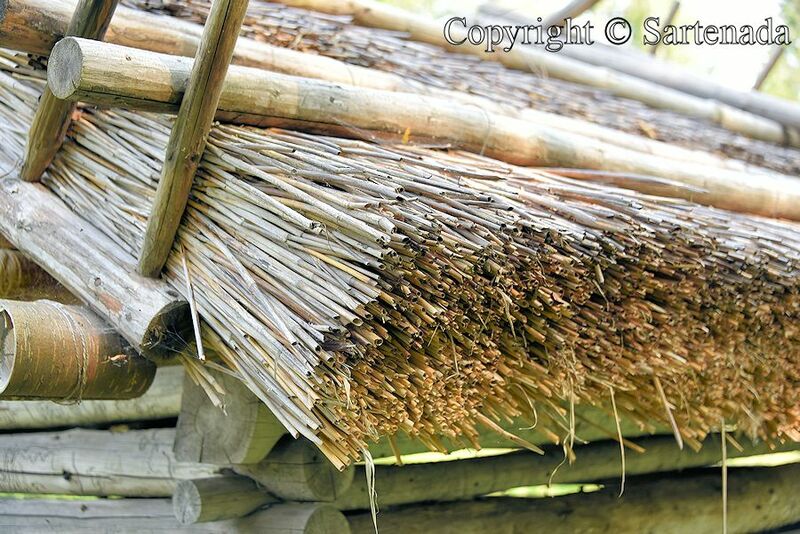 I especially like the craftspeople and the “straw” looking roof. I am very glad that You loved my post and it photos. Straw is actually called common reed (Phragmites australis). It is used many needs and cheap. Thank You. Thank Asking and commenting. I am glad bout it Yes, photos 3, 4, 5, 6, 7 and 8 are church photos. Some inside, some outside and close-up of church door. I am glad that You loved my museum photos. Than You comenting. Do You know this Japanese TV-star 宮川大輔? 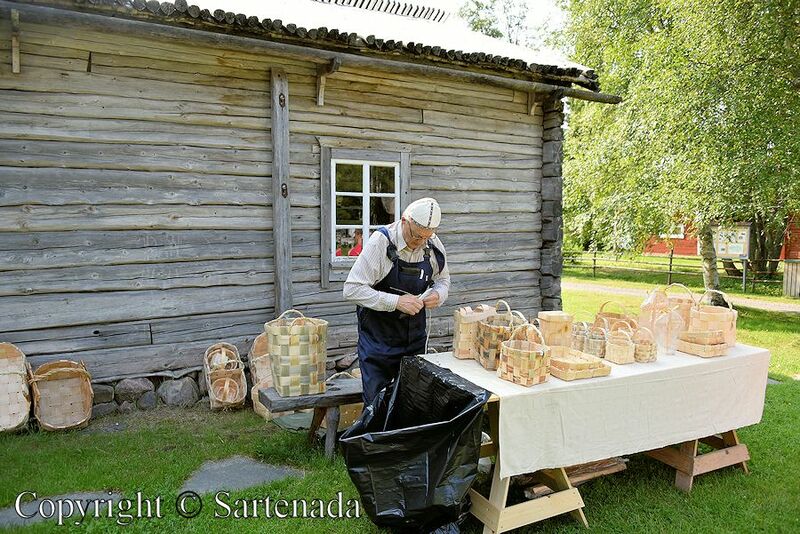 I have photos from him, when he was in Finland and participated in a contest. Beautiful, as always. Once again, you inspire me to go somewhere new in Finland. I very much enjoy open air museums. Thank you for the links! I don’t know where to find these otherwise and appreciate the information. 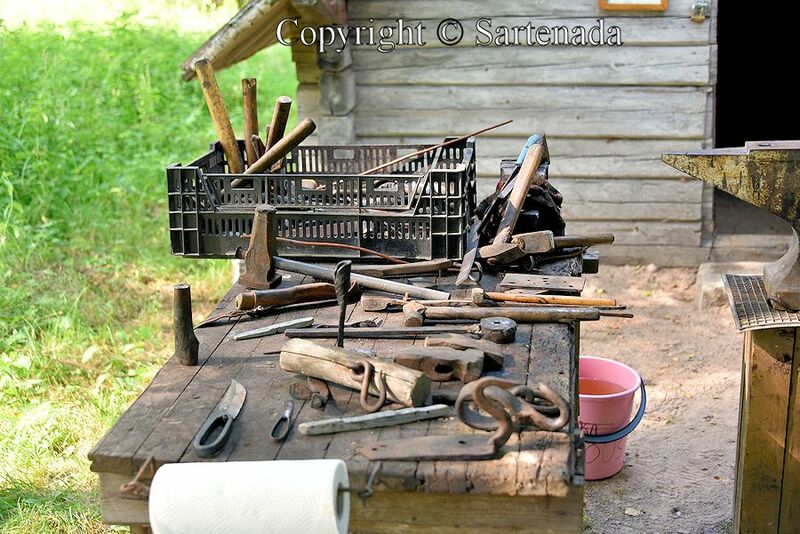 Open air museums offer living history and I find them very important. Thank You leaving Your kind comment. Happy new week to You and Yours also. First , I admired the beautiful photos…..
Once again a wonderful post! How glad I am when reading Your praising comment. Thank You. I noticed Your comment immediately, because I was preparing / translating my next post. This time I have difficulties with translations, because this kind of contest, which I will present, exists only in Finland. Thank You. Looking forward to seeing/reading it! Beautiful pictures! The architecture is so interesting and I particularly like the baskets! Thank You for Your kind comment. 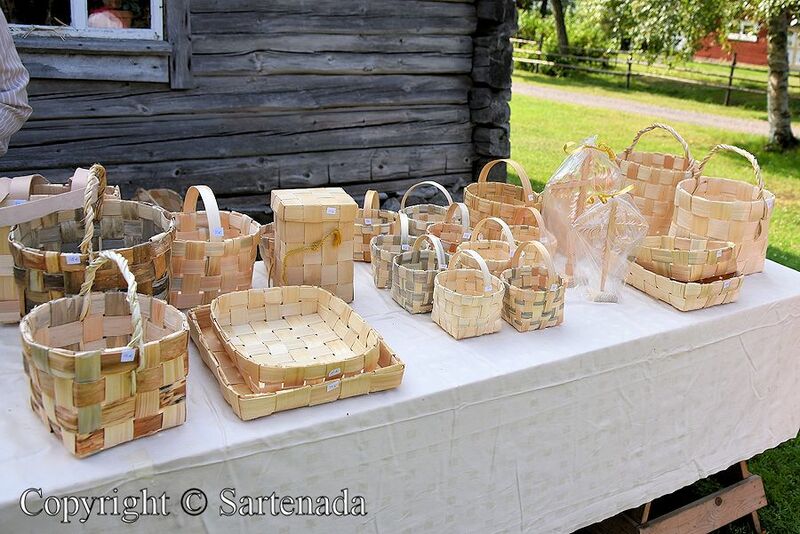 Those baskets are made from shingles. They are very nifty and long lasting. For example, we have yet one, which I used to pick blueberries, when being young. I earned so much by picking blueberries, that with those money I made my first travel trip to Copenhagen. I showed history and You show history also in Your blog. Thank You commenting. 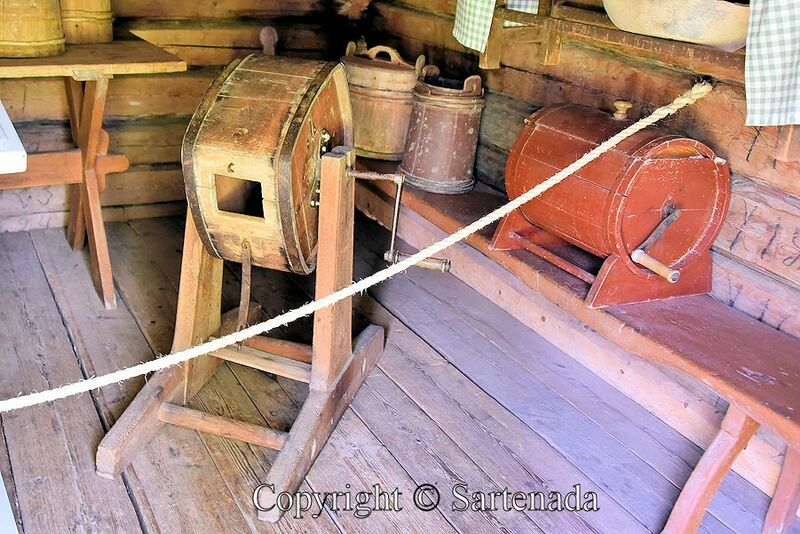 We love open-air museums, which bring history to the present day. 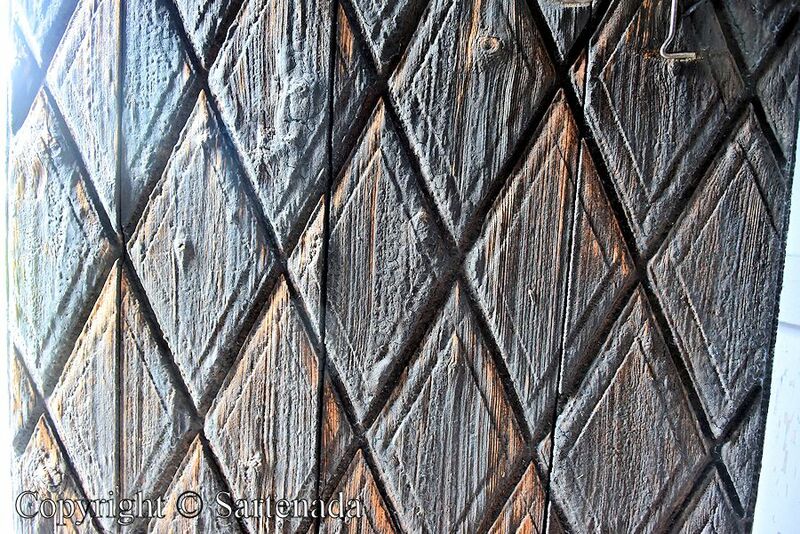 I love especially our old historic wooden churches. Our countryside is “full” of them. To find them You must drive on countryside roads, not motorways. Those old churches offer unique Poor-man statues, which is another story. Thank You again leaving Your praising comment. oh merci pour ce lien, matti! les photos sont magnifiques! c’est vert, la campagne est superbe! et j’aime beaucoup les métiers du passé, la vie des gens autrefois! une série de photos très belles qui me touchent et me bouleversent! j’aime beaucoup le bois et l’église est MAGNIFIQUE!!!! le tapis qui est accroché au mur est superbe! j’aime cette simplicité qui respire la bonté! et puis ta femme a l’air tellement heureuse que ça fait plaisir à voir votre bonheur! 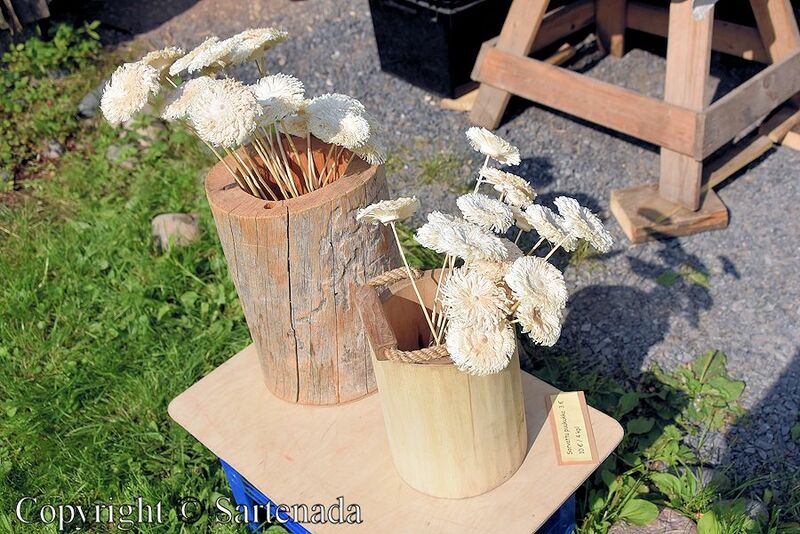 les fleurs sont en bois (photos 12 et 13) ? 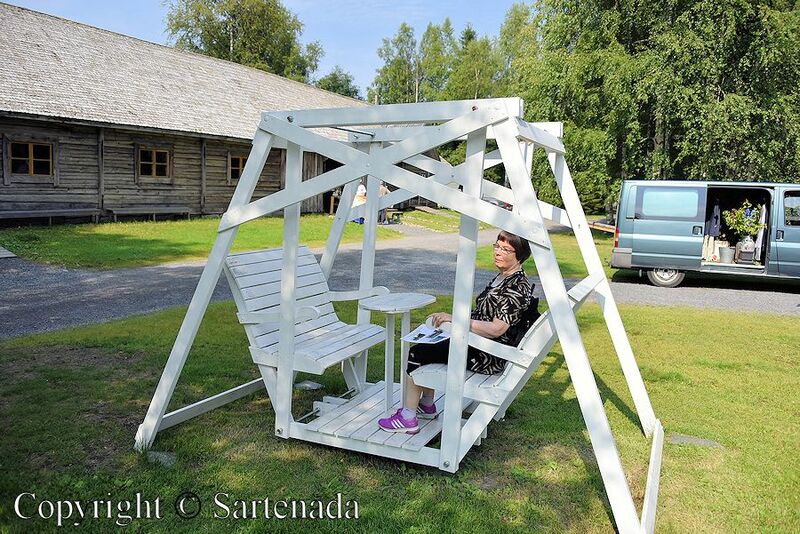 Musée en plein air á Lieksa. Musée en plein air de Seurasaari. 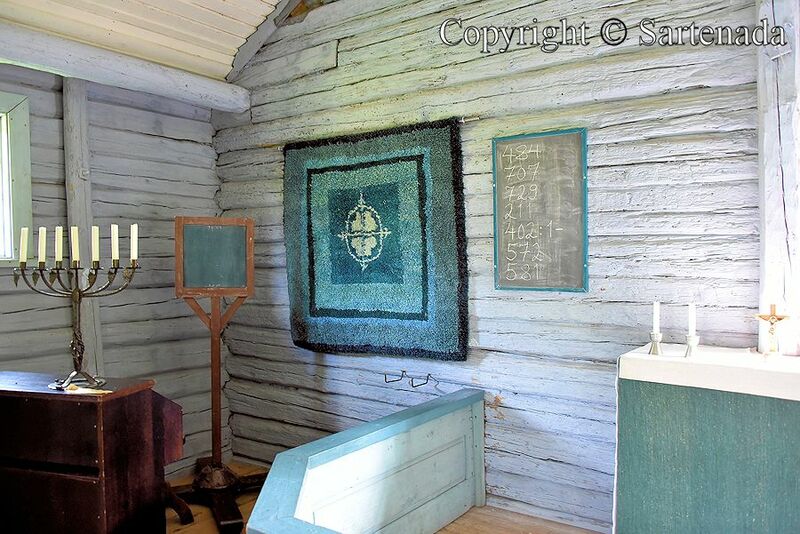 Musée de l’Artisanat de Luostarinmäki.